Dr. Douglas Zusman is a thoracic and cardiac surgeon from Newport Beach, California. He has an extensive medical experience of 42 years. Dr. Zusman graduated in 1975 from the Yale University School of Medicine. He continued with three residency stages in internal medicine and general surgery at the Massachusetts General Hospital, UCSF, and Stanford University. Dr. Douglas Zusman is a board-certified practitioner in internal medicine and thoracic surgery. He has also been involved in several research endeavors. The subjects that he focused on are surgical resection and non-small lung cancer, malignant pericardial effusion and ovarian carcinoma. 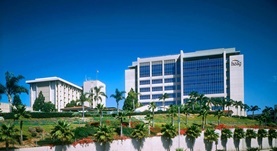 Dr. Zusman is currently affiliated with the Hoag Memorial Hospital Presbyterian. Dr. Douglas Zusman has contributed to 2 publications. Surgical resection and long-term survival for octogenarians who undergo surgery for non-small-cell lung cancer. Dillman, R.O., Zusman, D.R., McClure, S.E. ; Clin Lung Cancer. 2009-03-01. Malignant pericardial effusion secondary to ovarian adenocarcinoma: a case report. Micha, J. P., Goldstein, B. H., Zusman, D., Rettenmaier, M. A., Epstein, H. D., Brown, J. V.; J Reprod Med. 2007 Oct.